This past Wednesday was Matthew's 5th birthday. He spent it in the orphanage, hopefully with his buddies. I know they don't celebrate birthdays in the orphanage. I know he probably didn't even know what he was missing, but it was hard on his mommy. I can't explain it, but I love him so much already. 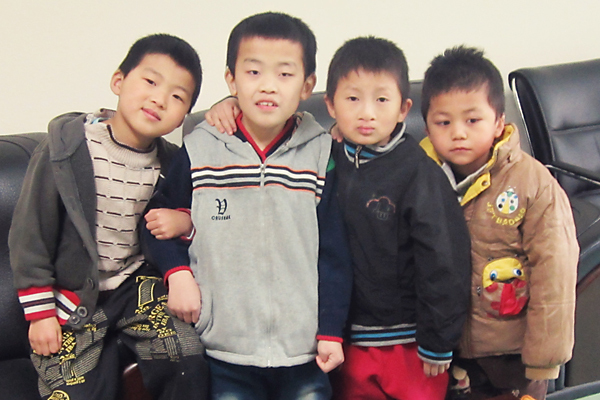 He's my little boy, and he sat in an orphanage on his birthday. 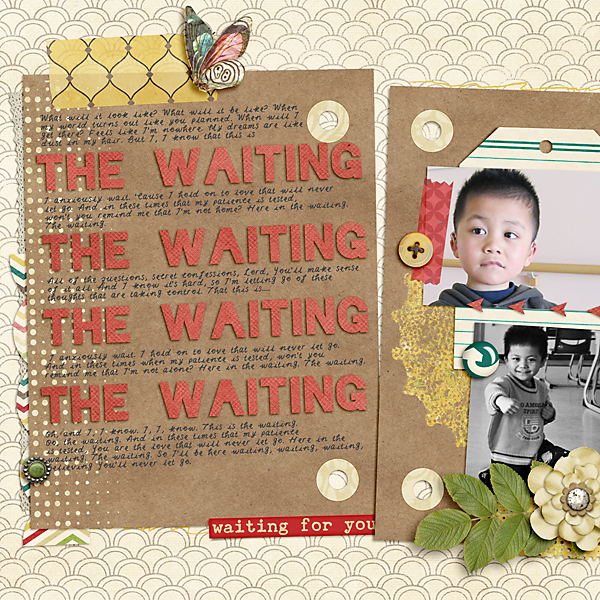 I scrapped the page above so that he could look back when he is older and know, that even though he wasn't with us on his 5th birthday, we were thinking of him and praying for him. We even bought him a few birthday presents for him to open when he comes home. Adoption Update: I don't have much of an update. I think the last time I updated you we thought we were waiting on our LOA (letter of approval). It turns out that our dossier did not get logged in until the end of February, just a few days after my last adoption post. We thought it had been logged in around mid-January. Needless to say we were very disappointed. We were about 6 weeks behind where we thought we were. So...now we are about a month into our LOA wait. It seems like the average time to get your LOA is between 60-90 days. So, most likely, we have at least another month before we hear anything. I'm sure you'll hear me screaming it from the roof tops when we get our LOA! That's all for now. Just wanted to share my page and a little update. Hoping the next adoption update will have some good news! I love scrapping these pages each week. I hope you don't mind seeing them each week! Photo Tip: Ctrl + M! I use it a lot for a quick photo edit. I tend to do it more on the photos taken with a phone (can you guess which one it is in this week's page?). 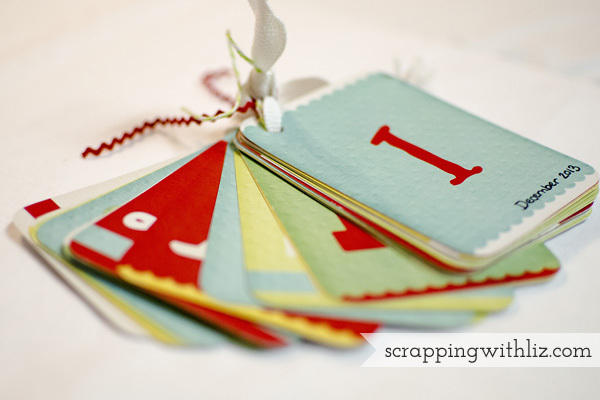 Scrapping Tip: Enjoy it! Turn up some music and scrap your heart out. That's what I did this weekend! 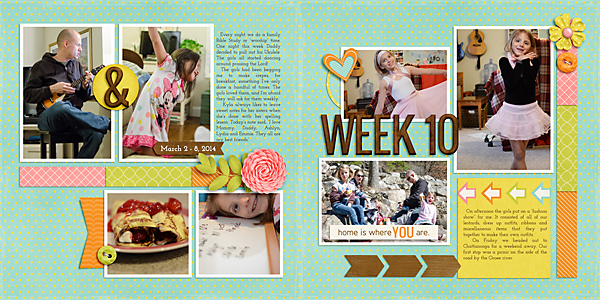 Journaling: Frozen came out this week. I’m not usually a sucker for Disney movies, but this one got me. The music and the sisters pulled me in. We got the movie and sheet music. We had to jam out one evening (or lots) to “Let it Go!” I peeked in the girls room one evening and found them having a tea party. So sweet! I had to snap a picture. 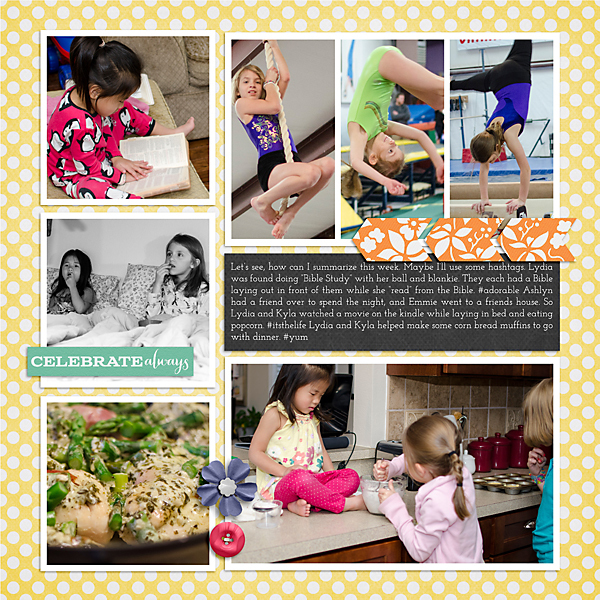 Then the pics here on the right page show a little bit of the extra learning (you know, besides reading, writing and math) we do throughout the week. Geography practice. Kyla is naming the 7 continents for me. Then we’ve been practicing our sign language every afternoon. Kyla is signing bath. Every Monday afternoon we have sewing classes. Right now we are in the process of making a quilt. 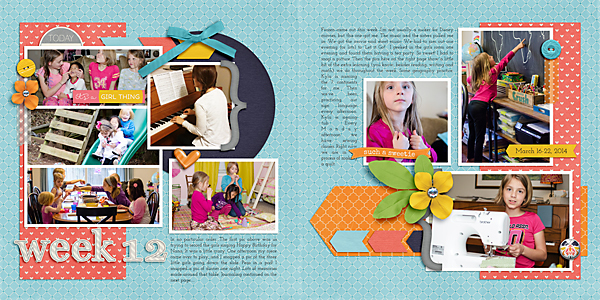 I hope you don't mind reading my ramblings on my scrapbook page. I tend to just jot down a little bit of each picture.....in a long, nonsensical paragraph. 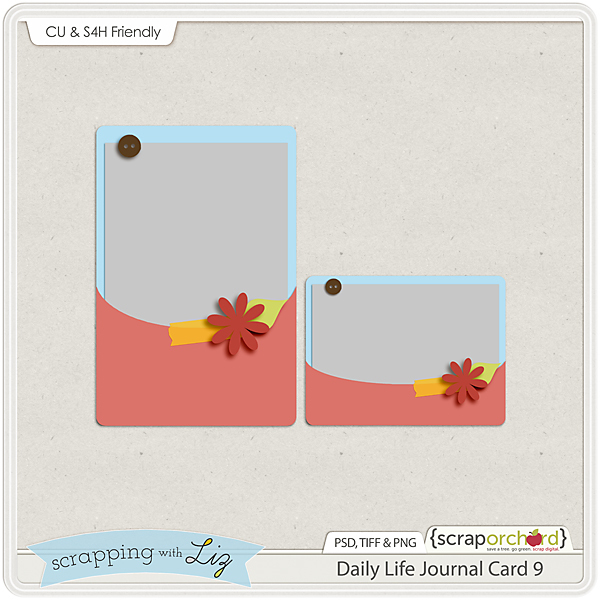 Now for this week's Journal Card Freebie. Just click on the image to download. Thanks to my hubby I had enough photos for my page this week. He finally gave in and bought a smart phone. I think he's having too much fun taking photos with it, and for some reason I just didn't take that many photos with my DSLR this week. It all worked out for me. 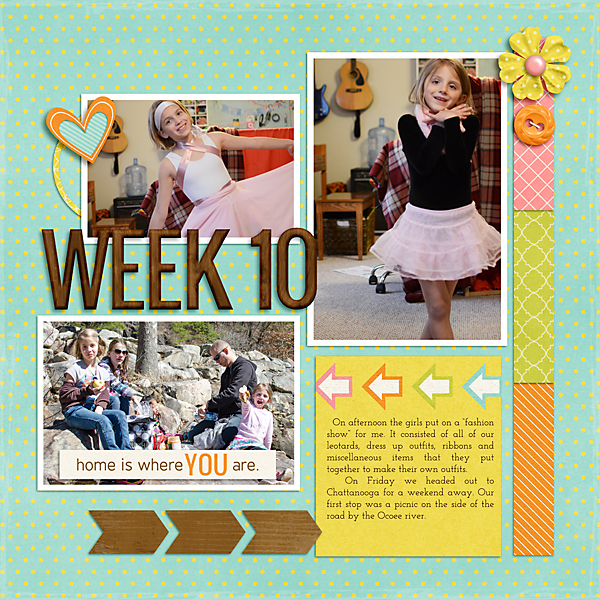 Photo Tip: Ask others in your family if you can use photos they have taken during the week. In my case I was able to use a couple of photos I wouldn't have been able to take myself. 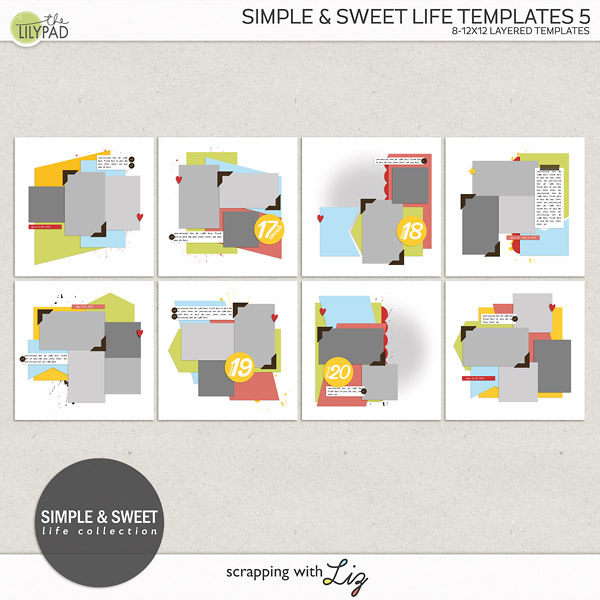 Scrapping Tip: Try out a new designer! 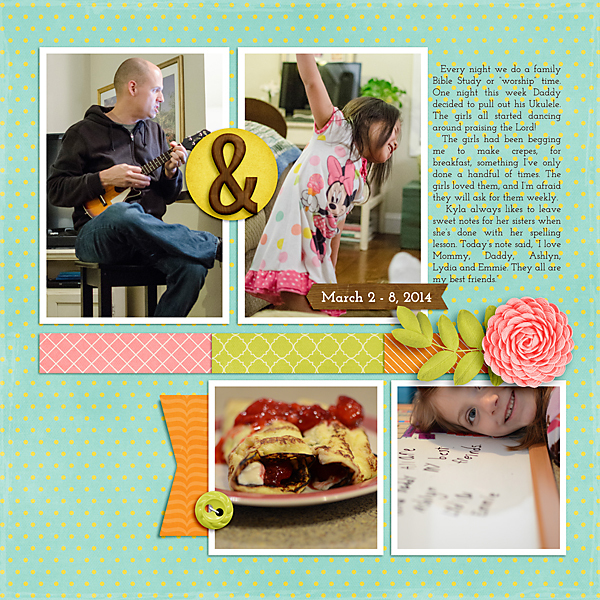 I saw Createwings Everyday Snippets #3 in the market and I knew I wanted to use it for my Daily Life page. I've never scrapped with her kits. It was a lot of fun! I can't wait to use the kit some more. 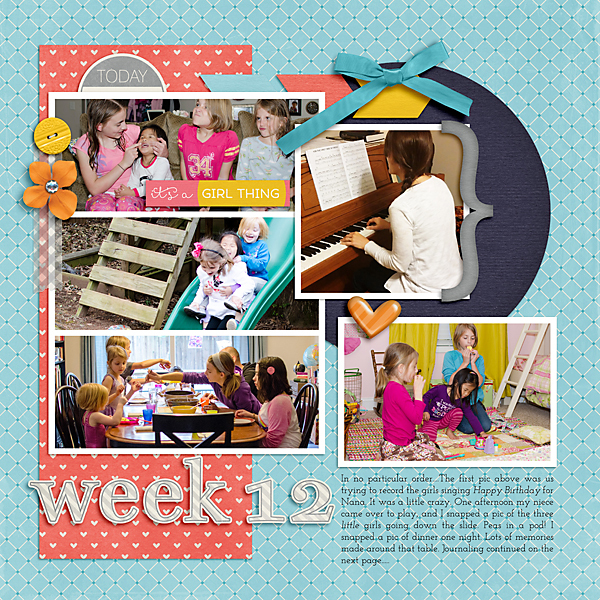 Journaling: This week we had Homeschool P.E. Day on Tuesday. We all wore our Macon G.E.M.S. shirts to represent. On Wednesday Daddy took Ashlyn out to lunch (she turned in her Valentine’s coupon). She picked Asian King. Thankfully Daddy snapped a photo for me with his phone. On Saturday we went on a family bike ride on the Greenway. It was too beautiful outside not to. Then the picture on the bottom right was taken one night at home after Ashlyn and Emmie had done their little sisters’ hair. 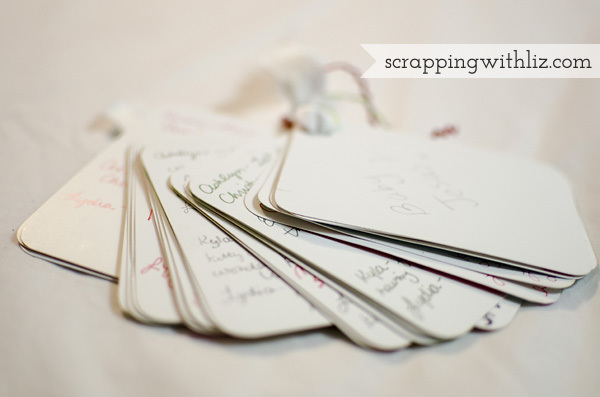 Journaling: These are just random pictures that I snapped throughout our week. This is really what our daily life looks like. We are always doing school work (usually with at least a couple kids in PJ’s) at a table filled with puzzles, crayons, and horses. And there always seems to be a cup of coffee for Mommy somewhere! And here's your Daily Life Journal Card 11. All the rest are still available! Make sure you go back through my Daily Life posts to grab them all. Have a great weekend! 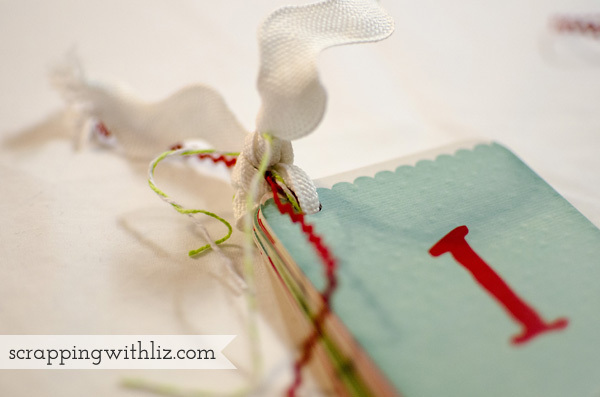 See you Monday for a sneak peek and giveaway! Photo Tip of the week: Leave your camera on your counter ready to go. 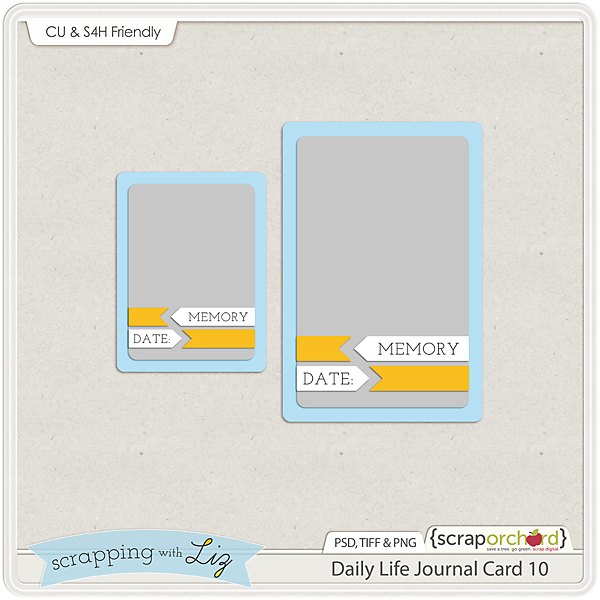 It will make it easier to remember to take those daily photos. In my case it makes it easier to always take a picture of the food I'm either creating or eating. 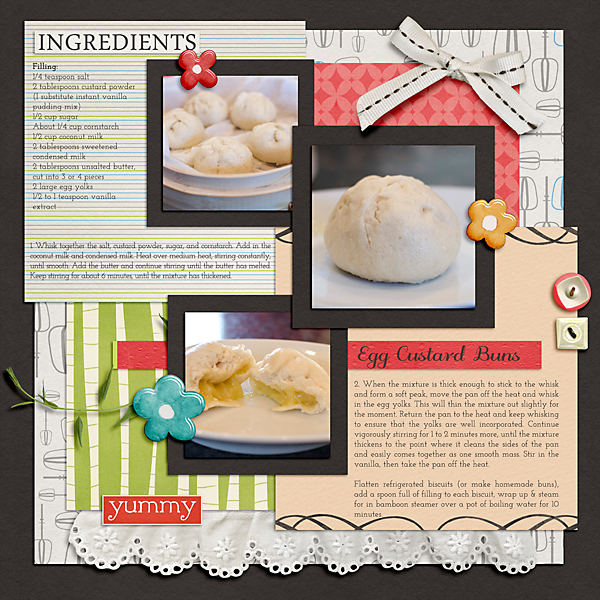 I think all of my pages, so far, have some sort of food in them. 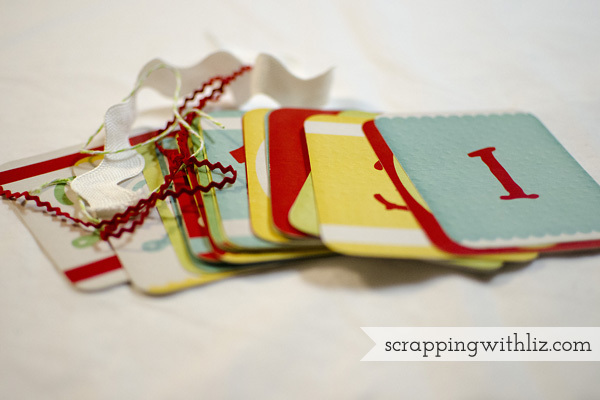 Scrapping Tip of the week: Scrap! If you set goals at the beginning of the year try to set aside time to work on them. Don't keep pushing it aside. 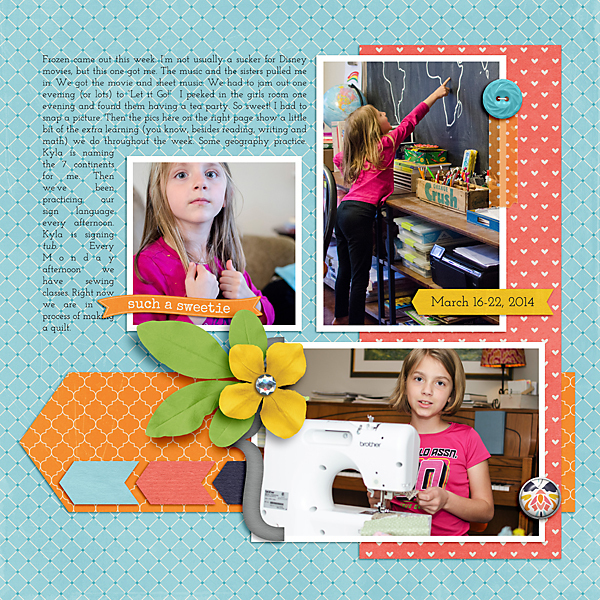 Journaling: On afternoon the girls put on a “fashion show” for me. It consisted of all of our leotards, dress up outfits, ribbons and miscellaneous items that they put together to make their own outfits. On Friday we headed out to Chattanooga for a weekend away. Our first stop was a picnic on the side of the road by the Ocoee river. I just noticed my typo....I'll fix it later...hopefully. And here's your Daily Life Journal Card for the week. Hope you guys are getting some use out of these. Just click on the image to download. This week's page only took about 30 minutes to complete. I'm getting faster! I did have to add a photo spot. 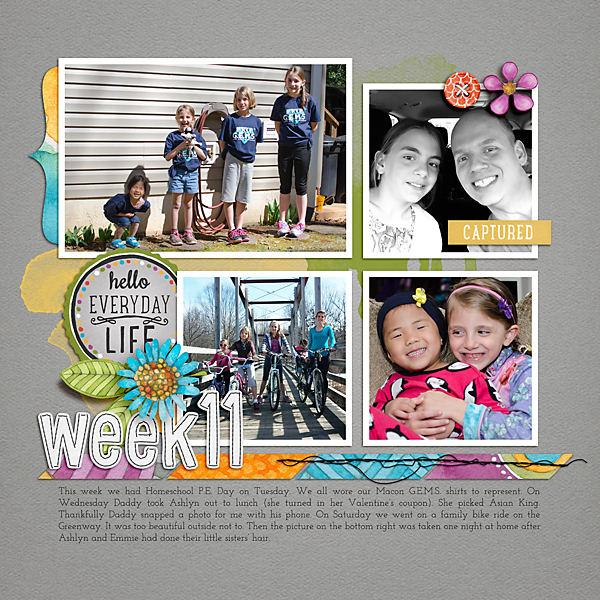 9 spots were just not enough to capture all that went on this week. 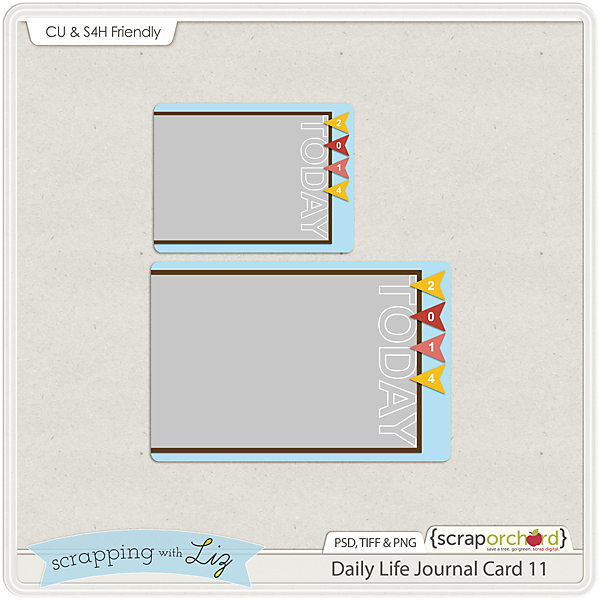 I do like that this template had two journaling spots. I had a lot to journal this week. It was all normal stuff but things that I wanted to remember. I also took a little fun twist on my journaling by adding hashtags. I know hashtags won't be around forever, but I think it will be fun to look back at them. I can picture my kids saying, while pointing to the hashtags, "What are those?" I also think it adds a little more to the story. 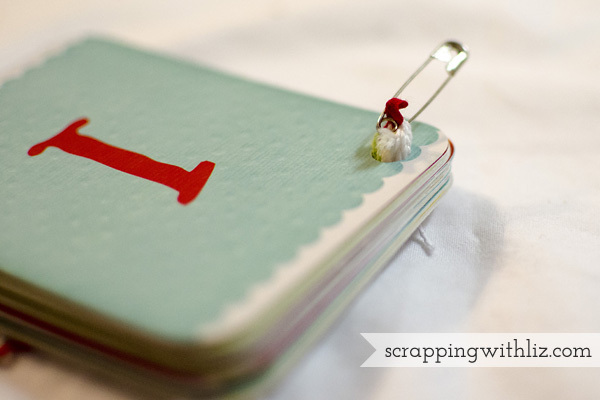 Scrapping tip of the week: Go ahead and add something that is faddish on your page. Something that will show that it's the 2010's. What are we calling them anyway? Maybe the 20 teens? I don't know. I suppose I could go google it, but then I would get sidetracked and never finish my blog post. Back on track. It will be fun to look back on those pages and see what was trendy. Photo tip of the week: Don't be afraid to change a photo to black and white. It can add some visual appeal. Plus, if you have a photo that's not in the greatest of lighting it can help it look a little better. The photo of my girls eating popcorn in their bed and watching a movie was not the best lighting. As a result, the photo didn't turn out all that great...but it looks pretty good in B&W. 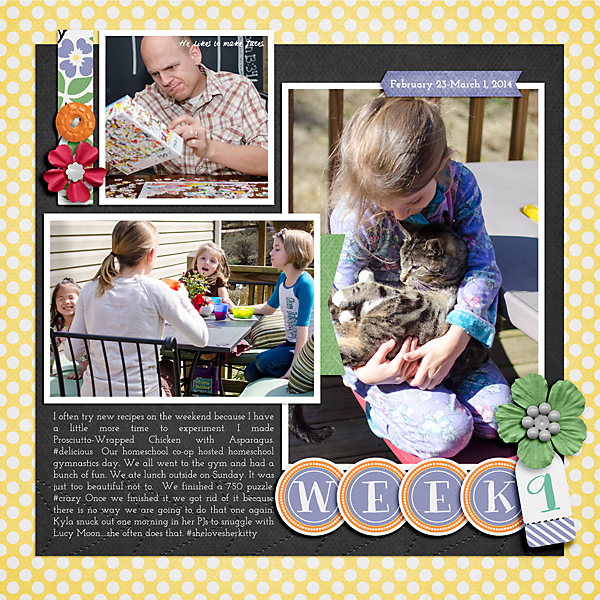 Now that I'm done showing you my page and rambling on about trends, here's your free journal card for this week. Hope you enjoy! Just click the image to download. Make sure you go back and grab the rest of them. 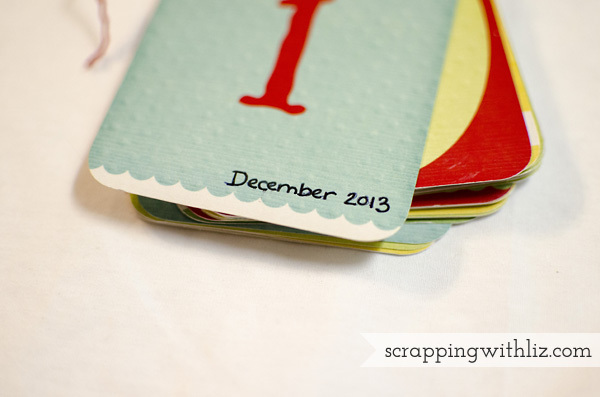 There is one for each week starting in 2014. 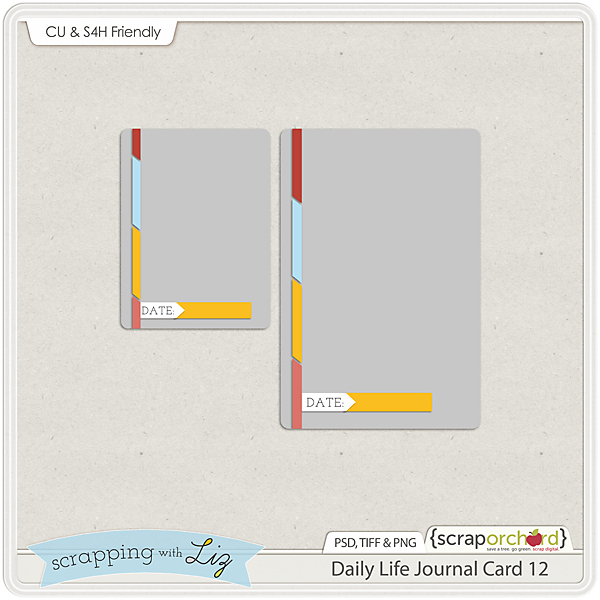 Besides my Daily Life pages, I didn't really scrap a whole lot in February. I don't know what happened. I think maybe I'm just trying to get all of my scrapping work caught up so I won't have to work as much when Matthew comes home. I am glad to be staying caught up with my Daily Life pages...although I wish I could get caught up on my older albums. Oh well, it is what it is. Let's move on to the pages I scrapped in February. 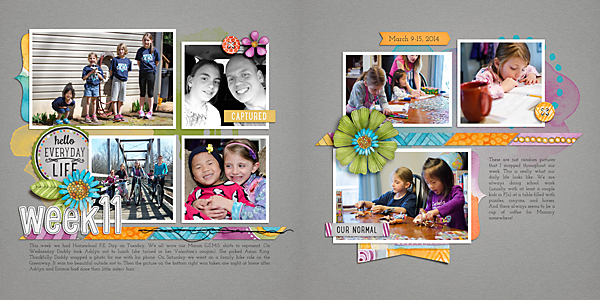 I have a random assortment of pages this month. I had been trying to get caught up on my 2012 album, but I kind of strayed from that. This first page I did at a live crop over at Scrap Orchard. We were supposed to use our new releases. 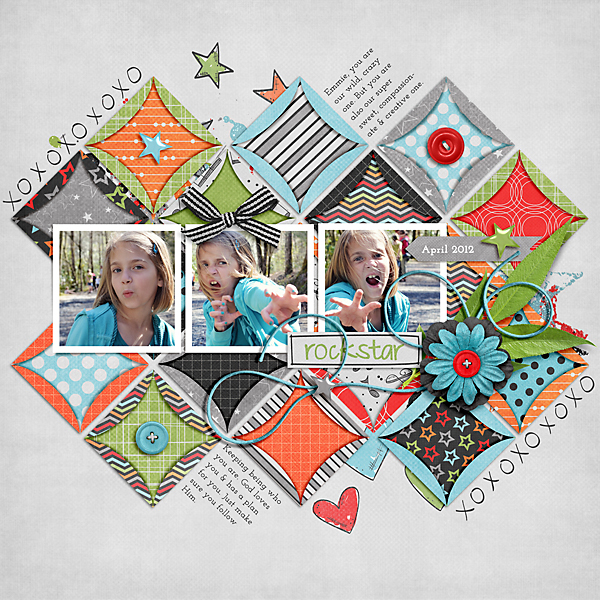 I found some photos to scrap that I thought went well with the You Rock theme. I realized after the fact that I put the wrong date on this one. It's supposed to say 2013....I still have the .psd so I can fix it before printing. 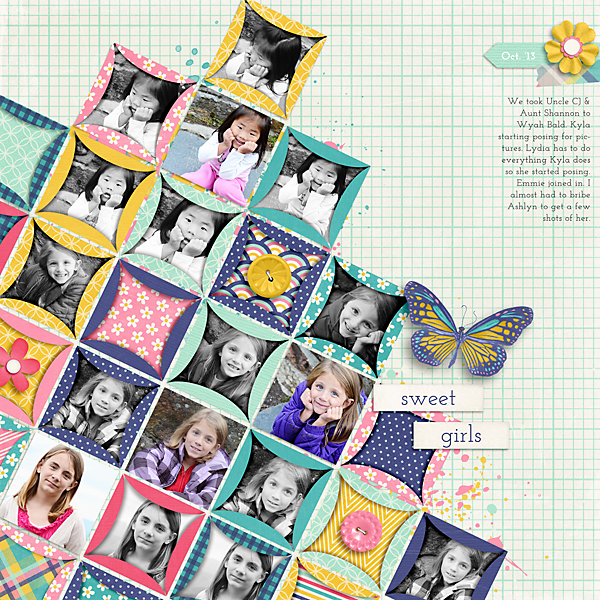 I made this one because I wanted to try out my new Paper Piecing Templates. I knew I wanted to use a lot of photos that went together. I rummaged through my non-scrapped photos to find something that would work. These close ups of my girls were perfect. 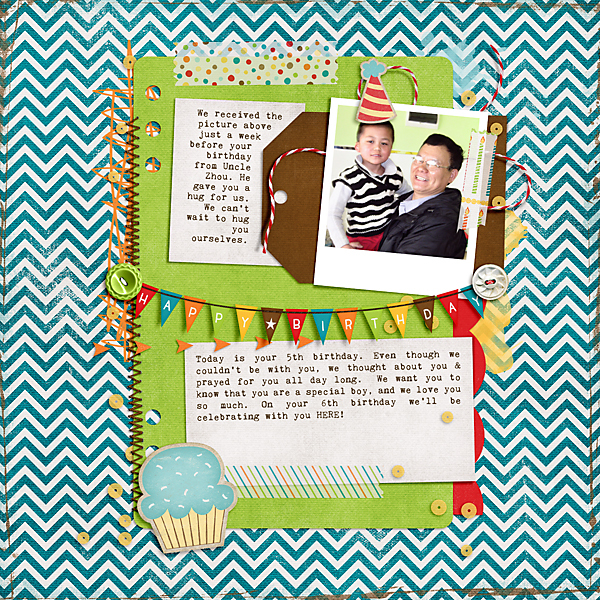 At least I have another 2013 page done. Every year since 2007 we have taken a family photo at Christmas. 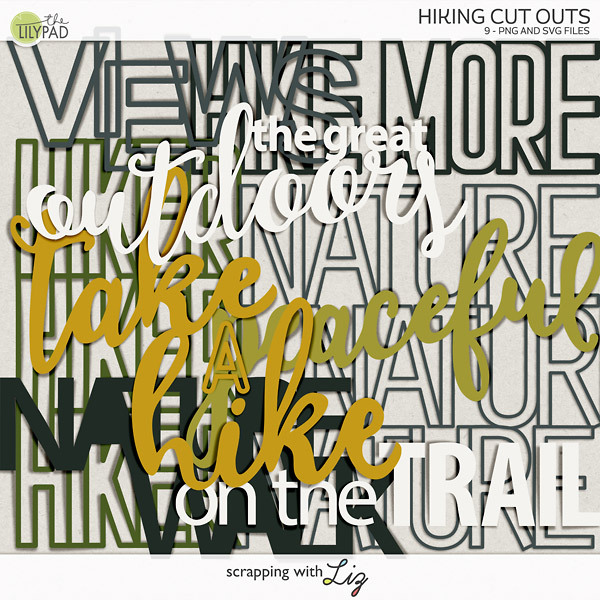 I decided to find all of the pictures and scrap them. 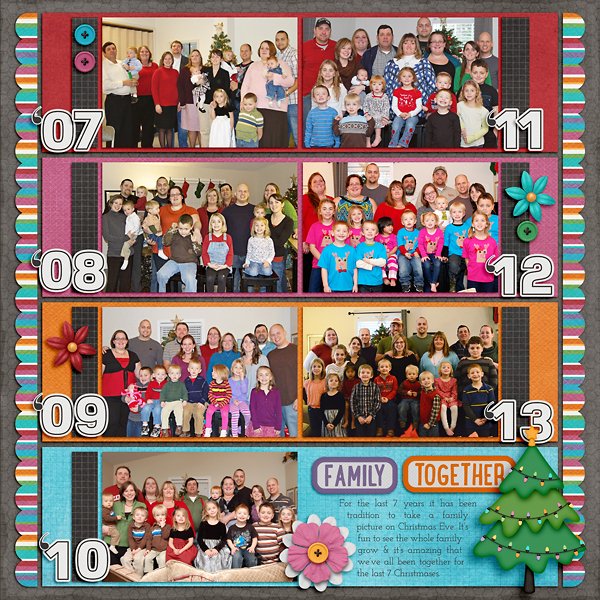 It's fun to see how our families have changed and grown. Then I was feeling a little emotional about Matthew, and I scrapped this page. 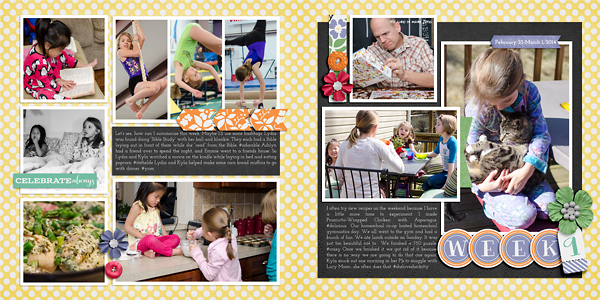 Only 5 pages this month...but if you include each of my double Daily Life pages that makes 13. I'm okay with that.